Thank you so much for having me to visit today! 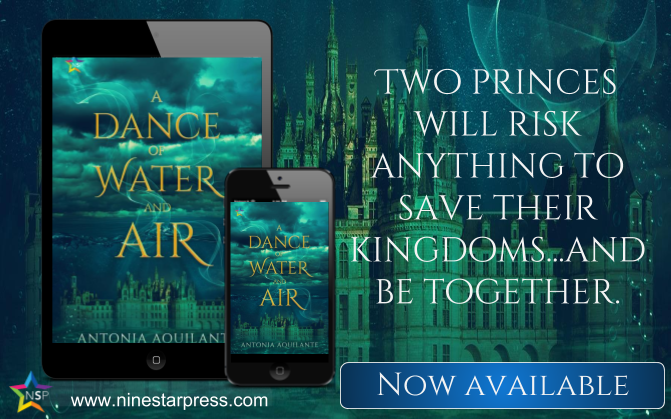 I’m Antonia Aquilante, and my new book, A Dance of Water and Air, is out now from NineStar Press. 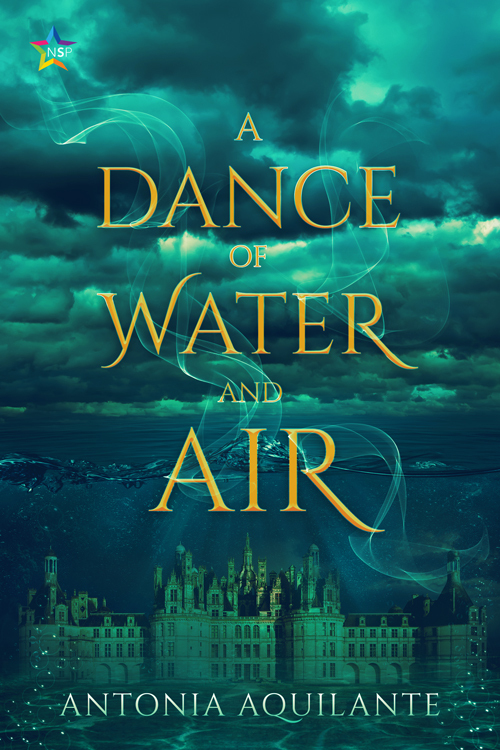 A Dance of Water and Air is the first book in the Elemental Magicae duology. It’s a fantasy romance duology, and Edmund and Arden’s romance is left happily at the end of Dance (though they play a big role in book 2, so you’ll see lots more of them), but there are plot points that carry over and must be resolved in A Harmony of Fire and Earth, which will be out in March 2019. I’m not a big planner when I write. I don’t outline every scene or even every chapter. I don’t even write everything in order. Sometimes I only have a few ideas about the plot—where I’m starting, where I want to end up, maybe a couple scenes along the way. But there a few things I have to know before I start writing. I absolutely have to know my characters, and I have to know something about the world I’m creating. Everything evolves as I write, but I’m constantly thinking about character and world before I start and as I go. An important part of the world and the characters and their relationship is thinking about how the power dynamics in that relationship and the wider world work. I write worlds in which all genders and sexualities are accepted and don’t dictate a particular role in life. But that doesn’t mean there aren’t power dynamics and differences to consider. My books are all fantasies, so different levels of magical power come into play as well as different classes in society. A royal and a commoner have different levels of power in society, and that needs to be negotiated in writing a relationship between them if the reader is going to believe in consent freely given and the romance as a whole. In Dance, both Edmund and Arden are princes, but the power they have and wield at points in the story varies. Edmund is heir to the king but really has no choice when his father tells him he’ll be making an alliance marriage. He knows that for all his power as a prince, he can’t refuse this. When he travels to Aither for the marriage, he is also well aware of his lack of standing and power at court, at least until after the wedding to Queen Hollis. Arden, on the other hand, is a prince in his home country. He has more power and knowledge there than Edmund does, though he also isn’t the ruler himself—his sister the queen is the one in charge at court, and he has to follow her directives there. Or he should. He doesn’t quite feel that way when Edmund is accused of attempting to assassinate her. When Edmund and Arden go on the run, their relationship really begins to develop on a level in addition to friendship, and they find ways to ways to balance the power differentials between them, and to build an equal partnership.